Future chefs: here in the OC lives “the good life.” Along with that is a dynamic dining scene fueled by the visionary culinary skills of new and established chefs. Would you expect anything less? 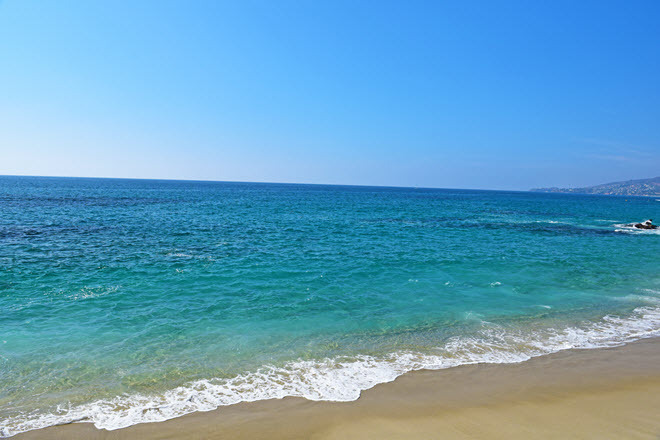 Orange County is sandwiched between Los Angeles and San Diego and bordered by the Pacific Ocean. The area’s rep is wealth and power and pre-Dotcom bust was once a powerful tech area. For career-driven culinary students the area is rich in money and where there is wealth, there is always excellent food and drink to be found. Tech slide aside, the OC is a Cali hotspot and as such is a destination for fine dining and upscale eats. Let’s not leave out the tourist trade. Disneyland makes OC home. Here is one of the nation’s most trafficked resorts and in and of itself has a high demand for experienced food service pros, from executive chefs, to station cooks, dishwashers and “front of the house” hosts and wait staff. Speaking of the OC’s Disneyland, remember in what types of venues chefs and cooks are needed: restaurants, hotels, resorts, convention centers, institutions, hospitals and medical centers, spa resorts, and in corporate diningrooms. Orange County has all of these. Remember, also that OC is right in the heart of some stellar food production. Originally this was a citrus Mecca and the California wineries spill down from Napa and Sonoma to include areas in this region, as well. But like most Cali communities flavorful, clean, and farm fresh foods take a front seat. Want to be an executive chef or chef owner in the OC? Get cooking at an OC culinary school. This is one of the most popular culinary programs in the country with over 30 other locations across the U.S., all convenient to major metro areas. Unique thing about OC is that there really is no major urban center, but a collective of notable and influential communities such as Santa Ana, Irvine, and Anaheim. Each campus offers a slightly modified program to suit the area’s best needs. OC campus programs include: Diplomas in the Art of Cooking or Baking and Pastry; Associates degrees in Culinary Arts or Baking and Pastry; and Bachelors degree in Culinary Management. As the name suggests the AI culinary program emphasizes international cuisines and you are well-trained in the elements of the major world flavors, ingredients and learn how to assemble classic recipes. Best of all you get to apply your skills-knife techniques, cooking styles, personal vision- in student-run restaurants where you test the real world of a time-constrained kitchen. Laguna Culinary Arts provides intensive cooking instruction for a variety of enthusiasts as well as professional chefs and serious students. For career programs choose the Pro Chef Program. The curriculum begins with teaching you knife skills so you can cut, chop, and butcher like a pro, then you receive intensive coursework in each of the major international cuisines including classic recipes, manipulation of ingredients and flavors, and mastery of cooking styles. You’ll get instruction in both savory and sweet, as well. A unique aspect of Laguna Culinary Arts is that they classify the curriculum by level of stress, so you know in advance where you’ll really sweat and you can be prepared. The school features professional chef faculty and has strong industry ties to the OC community.